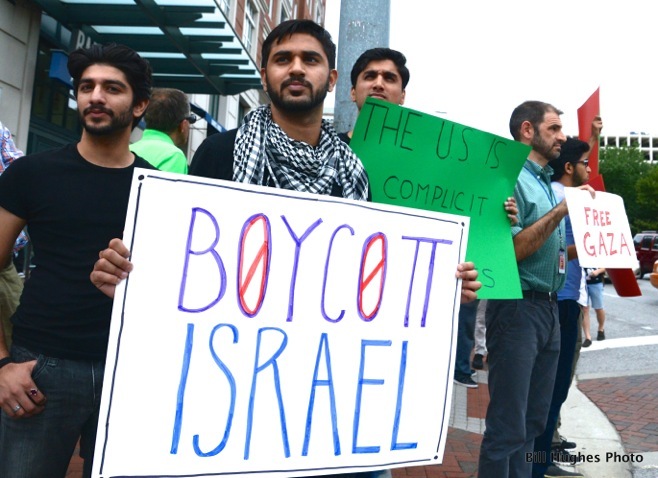 Students and activists from Johns Hopkins University in Baltimore sponsored Thursday a very spirited demonstration in support of the people of occupied Gaza. It took place at the intersection of 33rd & St. Paul Streets, just east of JHU’s main campus. The JHU students also received the backing in their effort from members of Baltimore’s peace & justice community. The demonstration was estimated at over 300 participants. 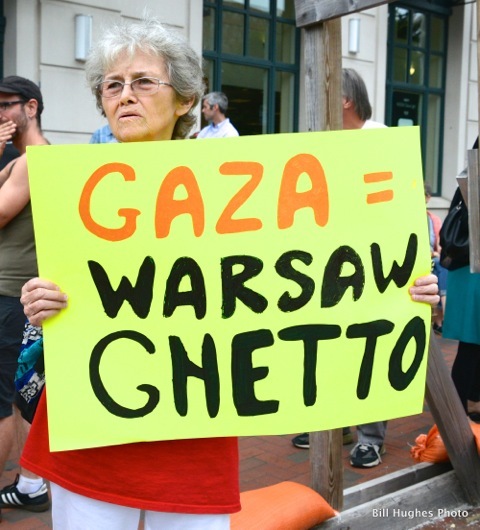 As of today, 751 Palestinians and 32 Israelis have been killed in the conflict, which began on July 8th. Over 140,000 Palestinians have been displaced. No cease-fire accord is currently in sight.